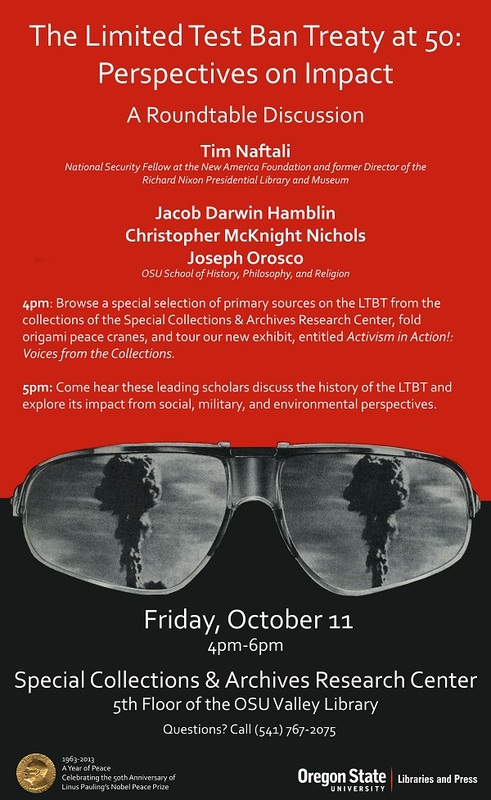 I want to invite the peace community especially to attend this event at the OSU Special Collections and Archives Research Center on the fifth floor of the Valley Library from 4 to 6 pm on Friday, Oct. 11th. If you click on the poster it gets bigger so you can read it! This entry was posted in community event and tagged Activism and Peace Work, Partial Nuclear Test Ban Treaty, Peace. Bookmark the permalink.